Each year, the network helps the Commission organise a European Symposium in Brussels. 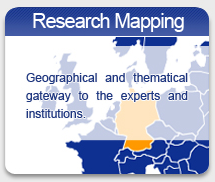 These events bring together researchers, European and national-level policy makers, stakeholder organisations active at a European level, practitioners and other actors. The broad objective is to strengthen the dialogue and networking between these communities, to generate ideas that could help enhance European policy cooperation on the topic of the symposium and to support this process with insights from research. The Belgian EU Presidency conference "Breaking the cycle of disadvantage – Social inclusion in and through education" was held in Ghent on 28-29 September 2010.